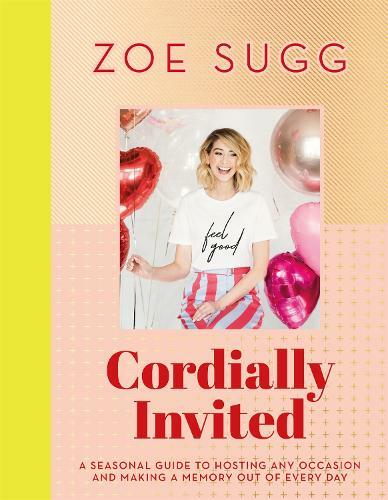 From Girl Online to girl-in-the-know, bestselling author Zoe Sugg - aka Zoella - has her finger on the pulse of the world’s hottest trends. Now she finally shares her best-kept industry secrets. Over the years Zoe has shared glimpses of this side to her in her videos, with millions of viewers taking daily inspiration from her life. In Cordially Invited she shares her best and never seen before ideas in print. Divided into seasons, and woven through with Zoe's own stories and memories, this book reveals her favourite events - big or small - throughout the year and how to celebrate them in style.